For over 32 years, Terry DeSelms and his wife Jeanie have lived in Nashville. They raised their daughters here, and today Jacqueline is the proud owner of One Tree Tutorial and Enrichment, an alternative school for supporting home school parents, while Tara is the co-owner and Vice President of DeSelms Real Estate. In 1989, Terry attained his real estate license. He created a unique set of tools and techniques, which quickly helped propel him to the top in his field. By 1994, he had grown his reach to sell 100 homes in the area that year. Terry loves what he does, and wanted to help others in his field pursue their passion, so he set out to grow DeSelms Real Estate. When Terry was new in the business, he sought other agents to learn their tips and tricks, but was turned down. He decided then and there that he would always have an open door policy for other agents, and would freely teach anyone who wanted to learn. Today, Terry and DeSelms Real Estate offer a shadowing program for outside agents to come and spend the day shadowing him and the Team. Agents come from around the country to shadow at DeSelms Real Estate, and learn from the best. Since Terry added the first administrative assistant in 1993, DeSelms Real Estate has grown to eight administrative assistants with 7 team agents and 25 affiliate agents. 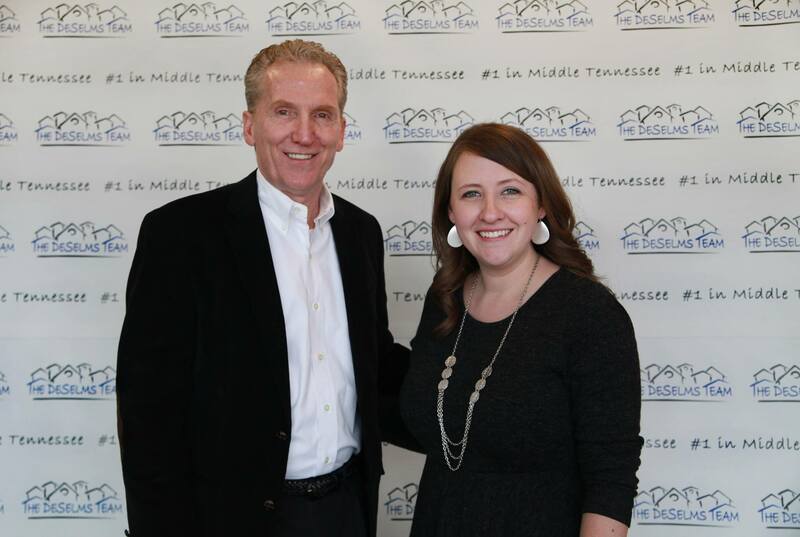 For over 15 years, Terry and his Team have been #1 in Middle TN. If you’re looking to join an award-winning real estate team, Terry’s door is always open! Call DeSelms Real Estate at 615.550.5565.